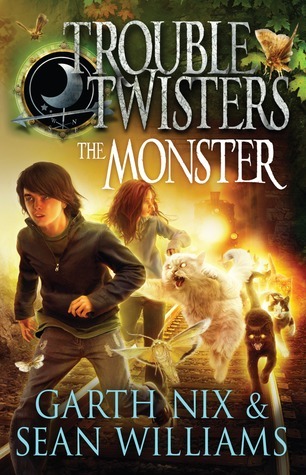 Today I get to share the AU, UK and US covers of the fourth instalment in Garth Nix and Sean Williams’ Troubletwisters series. 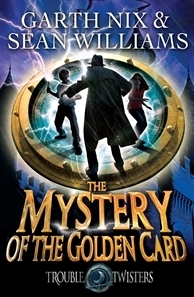 This MG series is a lot of fun – featuring a pair of twins who have cool powers that always get them into trouble, and it’s written by two of the strongest names in Australian speculative fiction. The next book in the gripping series from the fantasy masters … Magical twins, mystery and danger, unexplained events, and an Evil that refuses to be contained. 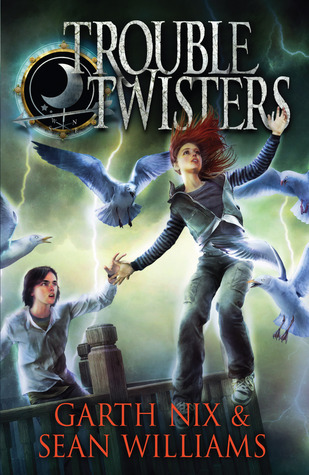 Twins Jaide and Jack Shield are finally settling into their roles as troubletwisters when an unexpected plea for help arrives from Grandma X’s twin Lottie, who they discover has been trapped in the realm of The Evil for over forty-five years. The rescue becomes urgent when the twins find out about Project Thunderclap, a plan to neutralise the threat of the Evil permanently, sealing the gaps between the two worlds—and trapping Lottie on the other side forever. As Jaide and Jack struggle through a series of examinations to become senior troubletwisters, they must also find a way to save Lottie. But nothing goes as planned, and soon Jack finds himself lost in The Evil dimension. Can the twins learn to control their growing powers and get everyone safely home to Portland? The Australian and UK editions are called Missing, Presumed Evil, while the US edition is entitled The Missing, in keeping with the shorter titles of those editions. I think this series is perfect for younger readers, or those just coming into YA speculative fiction. You should give them a try, and support two awesome Aussies while you’re at it!